«Discovery» is the word that pops into Lisa Rankin’s mind when she reflects about her work at Flavors of Paris. 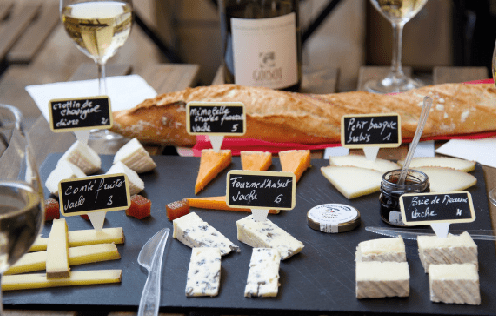 Aside from meeting interesting clients from all over the world and eating delicious French fare, she and her team of guides adore exploring the not so well trodden nooks and crannies of Paris and finding the quaint food shops, cafés and markets. Flavors of Paris recently launched three new tours. One is in the lower Marais district, where Lisa was astonished to find a chateau with a cannonball still lodged in the wall from the 1830 revolution. She also discovered a café there, specializing in dishes from Burgundy. Lisa claims, and clients concur, that it serves the best escargots in Paris! «It’s a tough job, but someone’s gotta do it. Lucky us!» – Lisa.